Wroom-wroom! This time we show you a funny car cartoon about a romantic excavator and a strict police car. The thoughtful excavator inadvertently lost its scoop and put on a spiral drill instead. This caused a big mess in the car city. 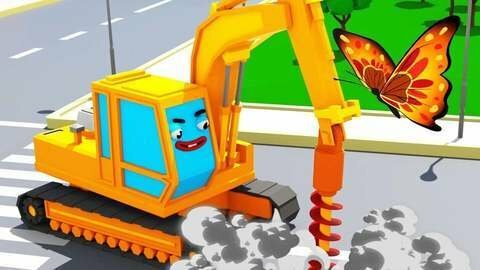 Watch this cartoon for kids and find out how the police car catches the excavator and how things get back on the rails.